Spiritual and ceremonial jewellery channeled and designed by Adam Donaldson Powell. 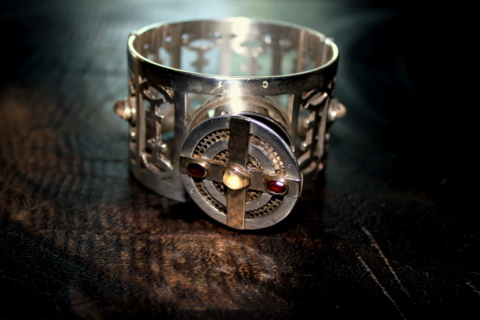 Atlantis Ritual Bracelet, silver and gold, with symbols from the Universal Language of Light. 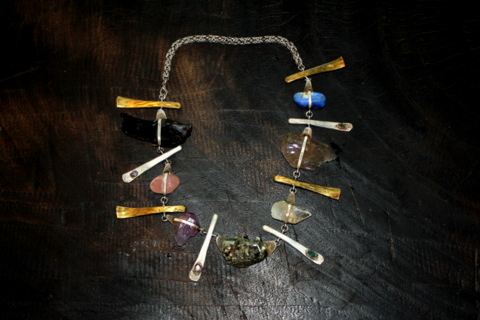 Lemuria Ritual Necklace, silver, gold and brass, with precious and semi- precious stones. 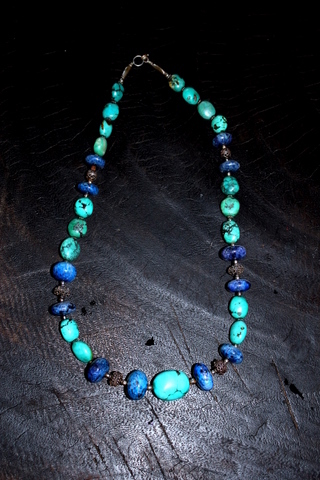 Nepali Necklace, turquoise, lapis lazuli and silver. 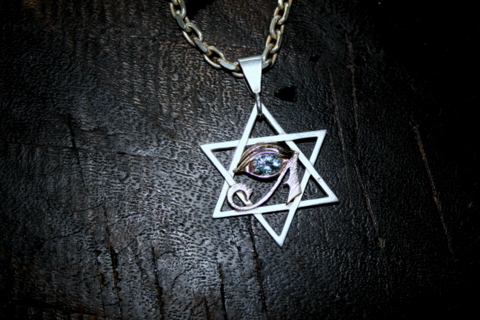 “TRANSFORMATION PENDANT”: design channeled by Adam Donaldson Powell, in silver and gold with aquamarine. 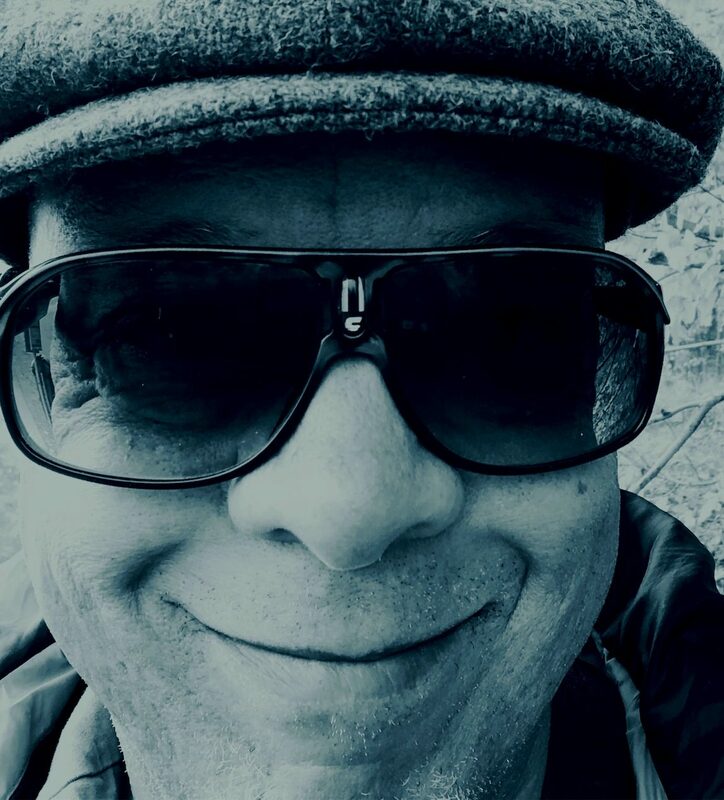 Note the Eye of Horus and the Six-pointed Star (symbolizing that there are many ways to God/Enlightenment but that all are based upon Wisdom) and the “A”-tone as the mantra device. Previous:The 2018 miniature painting series. Next:2018 Redwood Writers’ Crime Story Competition.